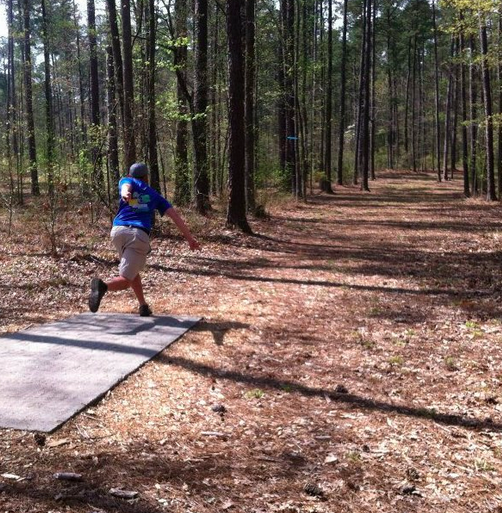 Disc golf is still so young in its development. Unlike other sports there are no legitimate sources that pop up when you search ‘Disc Golf Psychology’ on Google. The game just isn’t truly studied as hard as other sports or even music for that matter. It’s still something that’s just played, not as much studied. With this said, something I’ve found to be an strong indicator of disc golf’s young age is the fact that it seems the best players, the true ‘professionals’ who are grinding it out on the road to make their livings, are acting as their own coaches and are teaching themselves how to play the sport for the most part. Look at any top athlete in a mainstream sport; are they winning events on their own? Not exactly. They almost always have people supporting them who are extremely well educated in their craft who offer their insight as to how to continue to optimize the cognitive and physical abilities of the player as they practice. At this point, there just aren’t many credible people in disc golf who would be able to help top players push their talents any farther. I want to at least attempt to change that. This will be my first of my coaching articles on HeavyDisc. This one will focus on the dreaded learning plateau that can drive any competitive golfer absolutely insane. Whether you’re a recreational disc golf enthusiast who plays in an occasional C-tier or you’re a competitive scratch rated golfer who makes a modest living playing the sport, there is a strong chance that you’ve reached a point in your game where you feel stagnant and uninspired. You’re practicing constantly and nothing seems to be improving; it seems like you’re actually regressing as an athlete and that you’re wasting your time. You’ve hit a plateau in your improvement. Does this mean you’re actually regressing? Does this mean you’ve reached your peak? ABSOLUTELY NOT. As frustrating as it may be, a learning plateau is almost never a physical issue, but a very fixable mental mistake. The fact that disc golf has very little scientific data behind it means that we need to look to other sports or similar art forms to gather information from individuals who have committed their lives to teaching and mastering their craft. I’ve recently found that the psychology behind training for music feels extremely similar to the ideal mindset that needs to be had when trying to become a better disc golfer. Becoming a masterful musician requires having an overwhelming hunger to push your mind’s limits and a strong internal desire to practice certain skills for hours on end, just like disc golf. The difference between disc golf and music is that music performance is studied endlessly by some of the most brilliant minds on the planet. 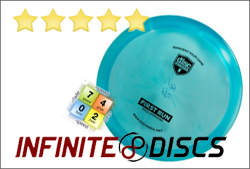 We as disc golfers, with very little scholarly studies and articles about the sport specifically, have the luxury of being able to take the findings of these brilliant minds and translate them to make sense in the realm of disc golf. Dr. Noa Kageyama, a performance psychologist and graduate of the world-renowned Julliard Academy of Music, writes that when it comes to learning plateaus, it’s not due to a lack of practice. It’s due to a lack of understanding of what needs to be practiced. In a blog post he writes, “We cannot work on things that aren’t in our conscious awareness.” As obvious as this may seem, this short phrase packs a very powerful punch when given some thought. It explains why countless hours of practice may not have any effect, despite the popular phrase that says “practice makes perfect”. While it is very true that “perfect practice makes perfect”, what is perfect practice when you don’t know what perfect is? Kageyama writes that a very important aspect to learning and improving is letting go of our egos and finding someone who can supervise practice sessions objectively; in disc golf it means having a respected local professional watch videos of fieldwork, accompany you in casual rounds, or simply analyze the equipment being used to do such practicing. Gaining a different perspective from a credible source can go a very long way. For example, as an intern at the PDGA’s headquarters I was occasionally in charge of manning the pro-shop at the International Disc Golf Center, helping people pick out and buy plastic. One day while working I was visited by a rather distraught looking individual. With a discouraged tone he explained to me that he just couldn’t throw straight or hit longer putts. He had been playing for a couple years and had grown tired of not shooting well on the tight and technical Georgia courses. I asked him to show me what he was throwing and right then and there I fixed his problem and increased his knowledge of disc golf. He was throwing three discs, and all of them were extremely overstable (discs not meant to fly straight). I helped him to pick out three discs with very neutral flight patterns and the rest was history. He came back from the course with a huge grin, saying he had shot the best round of his life. It’s a simple, but prime example that shows how increasing your knowledge of the sport can help break through those pesky plateaus. “The first stage is unconscious incompetence, where we are blind to the things we need to work on. The second stage is conscious incompetence, where we have an awareness and understanding of what it is that we need to work on. The third stage is conscious competence, where we have worked on developing the new skill, but it still takes a great deal of awareness and concentration to execute. The skill hasn’t yet been automatized. The last stage is unconscious competence, where the new skill has become second nature and is performed easily without needing to think about it. 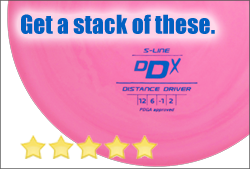 So, with all this said, what does this all mean in terms of disc golf? It means that regardless of your athletic ability or skill level, every single player has the ability to improve. There should never be a moment in one’s mind where he/she should think they’re good enough and what they’re doing is sufficient if they truly strive to be the best they can be. Learning plateaus are inevitable but developing the ability to identify them, and to study and master underdeveloped skills through deliberate, specialized practice is a choice that every single player of this beautiful sport is able to make. The sky is the limit if you’re simply able to admit to yourself that you’re not quite there yet. I hope you all took something from this article whether you’re a scratch rated pro or an amateur. I want to continue to study this game at a higher level and write about my findings, so please leave some feedback! My next article will look further into improving from practicing correctly. I want to offer some advice that disc golfers and ultimate players alike can take something from and apply to their own practice regimens. The 2014 season is right around the corner! Great start! I have definitely noticed that new players improve the most quickly when they can not only see what better players are doing, but they can have a better player analyze their game. A friend of mine was struggling with his game, and when I suggested that he simply used his forehand more he shaved 2-3 strokes off each round. He just didn't realize how much more consistent that shot was for him for left to right drives. Thanks for pulling this information together. I think many athletes already understand these concepts, but being reminded of them helps! I'll be setting some specific goals for myself this year and I look forward to reaching some new plateaus! I really like the thinking behind this blog post but I'm not sure that I agree with the statement that there are no qualified members in our sport to give guidance. One big lesson I've learned in life - as a professional artist - is that there's rarely a unique genius sitting behind the desk of everything we consider amazing. In fact, often times I've learned that the most amazing accomplishments are done by an average Joe who had the passion enough to get it done. So to say that improvement in our industry requires the most BRILLIANT minds in the universe is kind of a copout if you ask me - no offense, (not leaving out 180+ IQ Dave Dunipace). We have lots of brilliant and very qualified professionals that either play or know someone that plays. I will agree that the industry does not have the resources that other sports do, but other sports also waste a lot more then they use. PS is Heavy Disc any reference to Heavy D? How heavy is your putter? It's waterbed hev. It's really not, I was always yammering about throwing the heavy plastic and so when I started looking for a blog name, I just started brainstorming and it fit. I'll let Brian chime in on your first comment. That's an interesting thought, Aaron. If you read closely I did not say that there were no credible sources in the game. That's obviously a false statement. I wrote that there are very few people knowlegeable enough to coach the top talent at this point. If Tiger Woods has a coach, there's obviously something to having a coach that is worthwhile, otherwise he wouldn't have one. You don't need brilliant minds to "advance" a sport specifically, but applying specific sport/performance psychology that is studied by highly intellectual individuals in other sports can help players improve, increasing the talent level in the sport. Dr. Kageyama is a sport and performance psychologist, so what he writes applies to music as well as sport. Message me on facebook if you want to discuss further! I don't think your post seemed defensive - I do think that having places like dgcoursereview to post videos of your form and have people critique you is huge. I have yet to see any pros around my area that are offering coaching services - so until that becomes a reality, living with online resources seems to be the way I'm headed. Great beginning. I am 49 have been playing for just about 6 years. Started going to tourneys 3 years ago. I am rated at 880. I feel like I am regressing. I know it is mostly mental and partially body mechanics. I choke at every tournament. Its pretty frustrating. I play my best rounds casually with friends. I will keep reading!!! Not giving up on this. Too much fun overall. Great stuff! Keep it coming!! Lovely post : " Coaching Column #1: The Psychology of Learning Plateaus ", very important discussion indeed. How to build muscle fast without fat. Get ripped, Get shredded and break through any muscle building plateau. knowledgeable or experienced colleagues in a structured and meaningful way.